• Paul Hockenos reports that the falling cost of battery-based storage systems is driving up solar panel sales in Gernamny. • How can funders help to advance the longevity and affordability of this type of technology? • Learn why utilities are investing in batteries. 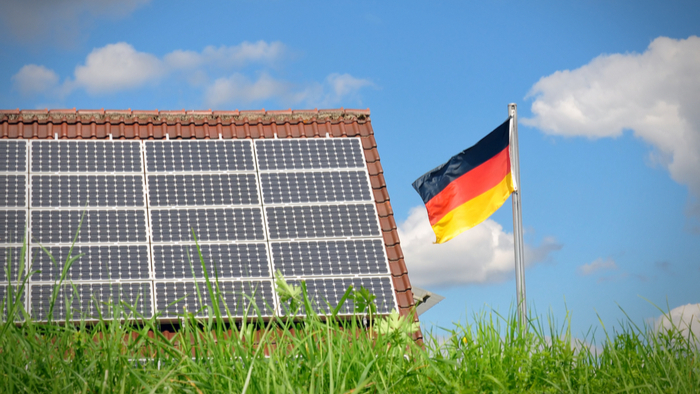 Today, one out of every two orders for rooftop solar panels in Germany is sold with a battery storage system. The home furnishing company IKEA even offers installed solar packages that include storage capacity. Battery prices have plummeted so dramatically that Germany’s development bank has now scratched the battery rebates—covering about 30 percent of the cost—that it offered from 2013 to 2018. To be sure, 120,000 households and small businesses represent only a tiny fraction of Germany’s 81 million people. But analysts say this recent growth demonstrates the strong appeal of a green vision for the future: a solar array on every roof, an electric vehicle in every garage, and a battery in every basement. Analysts see the embrace of home batteries as an important step toward a future in which low-carbon economies rely on increasingly decentralized and fluctuating renewable energy supplies. To date, electricity storage has lagged far behind advances in solar power, but as batteries become cheaper and more powerful, they will increasingly store the uneven output of wind and solar power, contributing to the kind of flexibility that a weather-dependent source will require. The budding popularity of solar panel and battery systems, driven by a drop in lithium-ion battery prices, has thrown a lifeline to Germany’s moribund solar sector, which has been reeling in recent years, in part because of low-cost production of solar panels in China. The progressive decline of feed-in tariffs—guaranteed remuneration for consumers supplying energy to the grid—also led to a sharp drop in solar energy deployment. Read the full article about battery-based storage systems and solar power by Paul Hockenos at Pacific Standard. Since you are interested in Clean Energy, have you read these selections from Giving Compass related to impact giving and Clean Energy? Clean Energy is an important topic. Other members found these Giving Funds, Charitable Organizations and Projects aggregated by Giving Compass to be relevant to individuals with a passion for Clean Energy. Can an Oil Company Help Fight Climate Change?